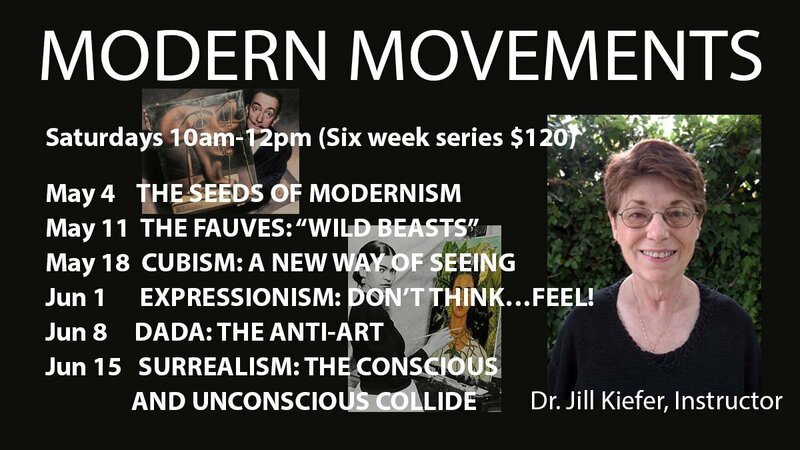 Join us at Bethany Arts Community for the Modern Movements Art History series with Dr. Jill Kiefer, a six class series focusing on: The Seeds of Modernism; Fauvism; Cubism; Expressionism; Dada; and, Surrealism. THE SEEDS OF MODERNISM – Modern Art didn’t just happen one fine day in the year 1900. Change is almost always the result of an evolutionary process. 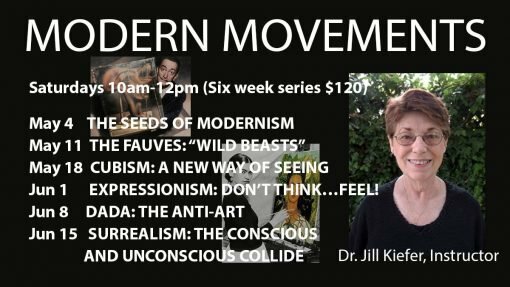 In this program, we’ll take a look at some of the great artists and movements that paved the way for Modernism–going back many centuries! Meet those artists who were modern long before modernism existed. Discover how the Impressionists, Neo-Impressionists and Post-Impressionists truly opened the door for what would become Modern Art. THE FAUVES: “WILD BEASTS” – Fauvism was invested with a strong expressive reaction to the subjects portrayed. The Fauves used color in almost violent ways. First exhibited in Paris in 1905, Fauvist paintings shocked visitors to the annual Salon d’Automne. One critic dubbed the painters “fauves“ (“wild beasts”). They lived up to that characterization in more ways than one! 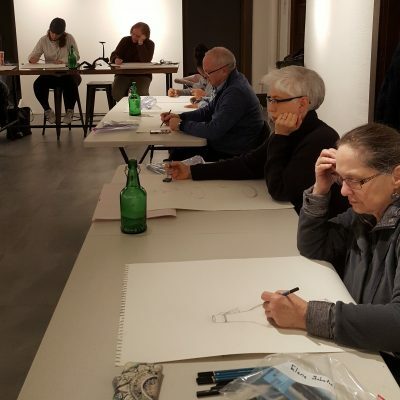 Artists covered in this session will include Henri Matisse, Maurice de Vlaminck, Raoul Dufy, Georges Rouault, and Kees van Dongen—among others. Discover where this first Modern Movement came from and what it means. CUBISM: A NEW WAY OF SEEING – The most revolutionary art movement of the 20th Century (and beyond), Cubism forever changed the way we see. Developed by Pablo Picasso and Georges Braque, Cubism offered a new reality through processes of disassembly, reassembly, and multiple perspectives. In addition to Picasso and Braque, we’ll be looking at works by Juan Gris, Lyonel Feininger, Fernand Leger and Robert Delaunay, among others. Join us to find out why Cubism is both the most significant and misunderstood of the Modern Movements. EXPRESSIONISM: DON’T THINK…FEEL! – The goal of the Expressionists was not to depict objective reality, but to explore the subjective emotions and responses that objects and events arouse within us. Their results came through distortion, exaggeration, primitivism and fantasy, and through the vivid, jarring, violent, and dynamic application of formal elements. Artists examined will include Ernst Ludwig Kirchner, Wassily Kandinsky, Gabriel Münter, Kathé Kollwitz, and Emil Nolde, among others. 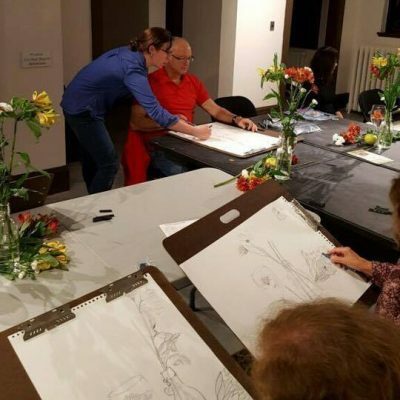 Join us to learn about Expressionism and to find out what sets it apart from other Modern Movements. DADA: THE ANTI-ART – Dada was essentially a protest movement against WW I, bourgeois society, traditional thought, and art itself. Dadaists used absurdities and non-sequiturs to create artworks that defied intellectual analysis and were anti-aesthetic. They also included random found objects in their works, which eventually led to the assemblage form. We’ll look at such artists as Jean Arp, Marcel Duchamp, Francis Picabia, Kurt Schwitters and Hannah Hoch—among others. Discover why Dada became such a paradox—and how it led art in wholly new directions. SURREALISM: THE CONSCIOUS AND UNCONSCIOUS COLLIDE – Surrealism represented a reaction against the rationalism the artists believed led to the horrors of WWI. It’s a style in which fantastical visual imagery from the subconscious mind was used with no intention of making the work logically comprehensible. Founded by writer André Breton in 1924, Surrealism developed primarily in Europe, and attracted many members from the preceding Dada movement. Although the work of the Surrealists was somewhat similar to the mystical 19th-century Symbolist movement, the Surrealists were also deeply influenced by the psychoanalytic work of Sigmund Freud. 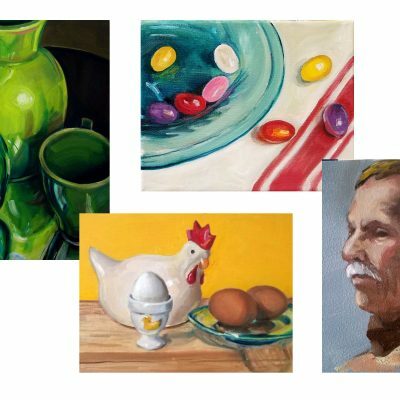 Artists we explore will include Giorgio de Chirico, Salvador Dali, Rene Magritte, Joan Miró, and Max Ernst—among others. Join us to discover how Surrealism’s emphasis on positive expression transcended the boundaries of negation associated with the Dadaists.